The upside to being a music reviewer over a lengthy period of time is that ones tastes inevitably change. 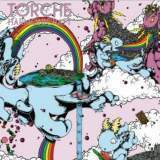 So it is with Miami-based doomsters Torche, whose cheerfully catchy music made me gnash my teeth and fearfully denounce it as sounding like Blink 182 last time I came into contact with it in a reviewing capacity, around four years ago. Having softened since, however, I've recently grown to enjoy the band's brand of music (their tag for it being 'Thunder Pop') and their latest (third) full-length represents such a step forward from Meanderthal that I can only praise it. Where once the pop melodies annoyed, now they charm; where once the forays into spacey instrumental exploration seemed amateurish, now they work incredibly. Being fair to the band and trying not to sound like an egotist, most of this is probably due to their improvement in songwriting terms, rather than to my inherently miserable nature. I'm listening to this in one of my seasonal bleak, black moods at the moment, and it's brilliant - each two-to-three minute cruncher of a tune wrapping its soft hands around your ears and leading you into the magical and slightly silly world portrayed on the cover art. The opening track alone, suitably entitled Letting Go, is just over two minutes long and barely registers in the fullness of the album, but sets the scene appropriately, melodic backing to an upfront crunchy heaviness that stomps around for a while, firmly but joyously pulling you up from the gutter. Kicking follows, the first song proper, built around an uplifting chorus and wave upon wave of heavy yet catchy guitar, the punkier and possibly even more rumbunctious Walk It Off building on its effects.